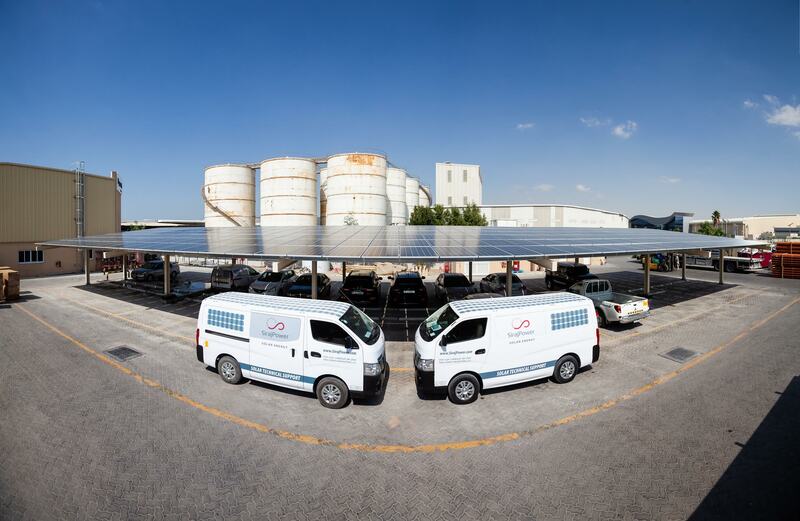 SirajPower, the UAE’s leading provider of solar roof plants offering both construction and financing solutions under one umbrella, today launched its first solar carport producing green energy and installed at Hepworth facilities located in Dubai Industrial Park (DIP). The carport is up and running and will generate 100 000 kWh green electricity per year. The carport will save more than 70 metric tons of carbon dioxide from entering the atmosphere, which is the equivalent of 280,000 km driven by a passenger vehicle for a year or the equivalent of 1,169 tree seedlings grown for 10 years. Last year, DEWA has commissioned a solar carport project that has been rolled out at its headquarters and at the UAE Ministry of Climate Change and Environment (MOCCE) building. The carport project was launched as part of Shams Dubai, DEWA’s solar energy strategy which encourages homeowners and businesses to install solar panels and link them up to DEWA’s clean electricity grid. SirajPower plans to further encourage the adoption of solar carport across the UAE. The company is witnessing a growing demand from businesses willing to use innovative and sustainable technologies in their premises to generate clean energy. SirajPower offers the benefit of being a DEWA gold partner as it is the only company certified and licensed to provide a comprehensive service; engineering, procurement, construction (EPC), O&M (operation and maintenance) and financing services.